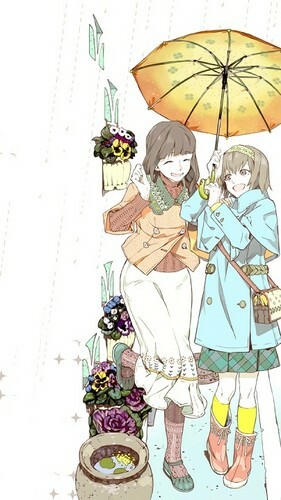 Mother and Daughter. . Wallpaper and background images in the Tokyo Ghoul club tagged: photo hinami fueguchi umbrella flowers mother daughter tokyo ghoul anime. This Tokyo Ghoul fan art might contain mwavuli, sunshade, and parasol.